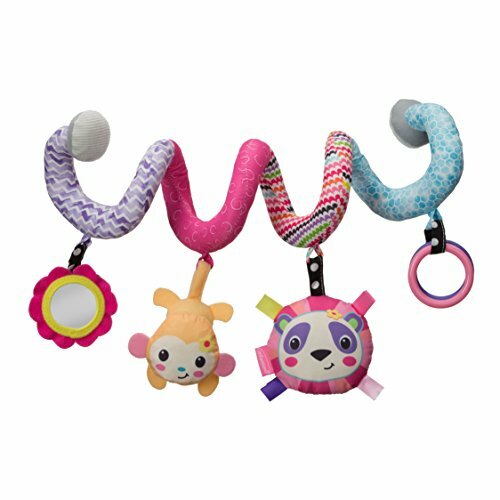 This soft activity spiral features four unique toys including a crinkle monkey, animal rattle, clacker rings and a shiny mirror. Wraps around car seat handles and most strollers. Encourages reaching, grabbing and batting while keeping your little one engaged and interested.